The latest figures released by the ministry of health in Sierra Leone suggests that daily average recorded number of new cases has dropped from about 60 in late December to about 10 in the last two weeks. This is a remarkable drop of more than 80% in new cases, recorded on average every day, across the country. But some medical experts in Freetown are disputing the ministry’s figures published since the end of December, 2014, when president Koroma took on a new determination to achieve zero new cases by March 2015. 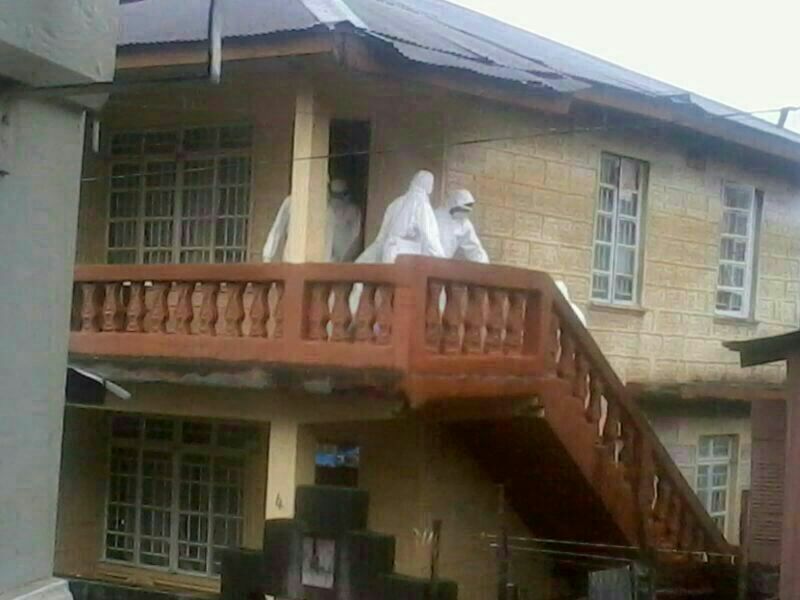 It now seems the National Ebola Response Centre (NERC) and officials at the ministry of health are working on all cylinders – massaging the figures, in order to achieve the president’s ambition – by all means necessary. And this over-zealousness is being pursued, with the alarming under-reporting of the number of new cases, rates of transmission and deaths from Ebola. In districts which just three weeks ago were recording a daily average of 20 or more cases – with a five-fold multiplier in transmission, are now recording less than a handful of cases. Everyone – irrespective of political persuasion, would genuinely like to see Sierra Leone get back on its feet, with the normalisation of economic and social activities. But to deliberately under-report the true extent of Ebola, so as to hurriedly and falsely declare the country Ebola free, is a serious crime. 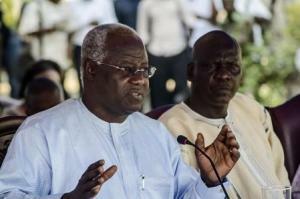 Many Sierra Leoneans take the view that president Koroma’s relaxation of the state of emergency restrictions last week, which were put in place to help the quarantining of suspected cases, as well as curtailing the mass movements of people, was reckless, irresponsible and short-sighted. Unofficial reports from Freetown alone, estimate the average daily number of new cases found in the capital since end of December 2014, at more than 30, yet the government says that on average, only about 10 new cases are recorded across the country every day. Of course the rate of infection and transmission must be falling, given the increased number of treatment beds and foreign resources and doctors that are now in the country. But the rate of decline reported by the NERC and ministry of health is far too dramatic and spectacular for anyone to believe. According to a report published by Médecins Sans Frontières/Doctors Without Borders (MSF) today, while this decline is a promising development, it warns that loss of vigilance now, would jeopardise the progress made in stemming the epidemic. “This decline is an opportunity to focus efforts on addressing the serious weaknesses that remain in the response,” says Brice de la Vingne, MSF Director of Operations. MSF says that, the World Health Organization reported last week that only about half of new cases in both Guinea and Liberia are from known Ebola contacts, while in Sierra Leone there is no data available. MSF also reports that there is almost no information sharing for tracing Ebola contacts between the three most-affected countries. According to MSF, in the past two weeks, reported cases of Ebola across Sierra Leone have declined to the lowest since August. The situation appears to be improving faster in remote, rural areas such as Kailahun district, a former Ebola hotspot where MSF began working in late June 2014. MSF says that the comprehensive response with an early emphasis on health promotion, contact tracing and monitoring, and a small number of organisations working together all contributed to bringing the disease under control in this district, which has seen no new cases since 12 December. Despite these encouraging signs, some hotspots persist, notably the capital Freetown, the Western Rural Area and Port Loko district. MSF’s busiest Ebola management centre is currently the Prince of Wales centre, in Freetown, with 30 patients as of 24 January. MSF warns that stopping transmission is particularly difficult in the overcrowded slum areas of the capital, Freetown. Elsewhere, tracing contacts of Ebola patients is still not being carried out systematically, while many contacts are being forcibly quarantined in their homes, at times experiencing shortages of food or water. These quarantine measures can discourage families from seeking early treatment for their sick relatives for fear of being locked in their homes. Last week MSF teams provided 1.8 million anti-malarials in Freetown, the largest ever distribution in an Ebola outbreak. 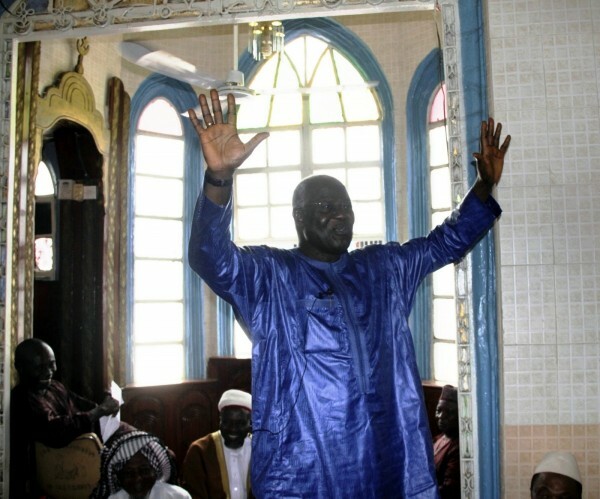 Guinea has also seen a steep decrease in new cases; however 14 out of the 33 prefectures in the country are still considered as “active.” New cases appear to be originating from areas of the country that were previously regarded as calm, such as Boké, Dabola and Siguiri. Together with surveillance, health promotion and social mobilisation are inadequate and failing to make significant progress today in Guinea. 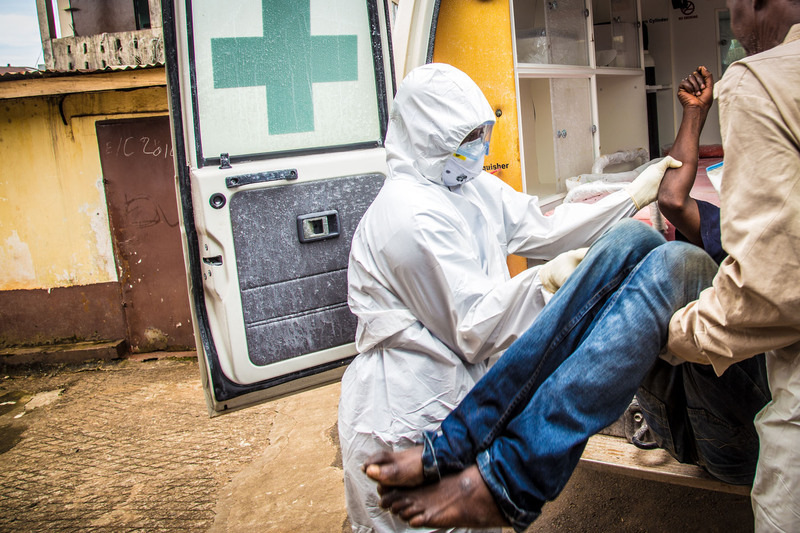 “Health workers and survivors are stigmatised, people are still reluctant to seek care, and Ebola treatment centres are often regarded with suspicion and fear,” says Henry Gray, MSF Emergency Coordinator. MSF is currently running two Ebola management centres in Guinea, as well as conducting surveillance, social mobilisation and trainings in infection control. A rapid response team is in place to address needs as they arise. Liberia has seen the sharpest decline in Ebola cases, with only 5 confirmed cases currently reported in the country. On 17 January, for the first time since it opened, there were no Ebola patients in MSF’s ELWA 3 Ebola management centre in Monrovia; today there are now just two. Liberia’s already weak public health system has been seriously damaged by the epidemic, with many hospitals shut down. Though some are beginning to reopen, infection control is crucial to mitigate the risk of Ebola and restore public confidence in the health system. In response, MSF supports thirteen health centres with infection prevention and control, and is opening a 100-bed paediatric hospital in Monrovia. An MSF rapid response team is also running mobile clinics, training local health staff in triage and infection control, and filling gaps in primary healthcare. Between October and December, MSF distributed anti-malarials to nearly 600,000 people in Monrovia to reduce the burden of malaria infections.